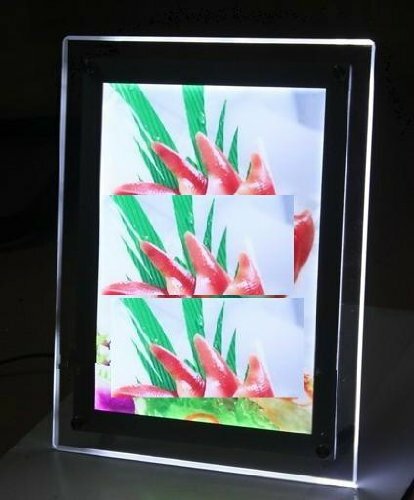 Gowe A4 size Stand Crystal LED Photo Frame ,high quality light box 5 Pcs by Gowegroup LED Light Box at Stickman's Blog. MPN: Gowegroup LED Light Box. Hurry! Limited time offer. Offer valid only while supplies last. Deiscription: 1)???? LED light source,even light ,balance , soft and comfortable to eyes 2)????? power: AC 110-240V? DC12v? 1.5A? 50-60 HZ 3)????? 3)????? Color:? black or silver optional. 4)????? Ultra-slim : only 11mm thickness, elegant design. 9)????? You can put it on the table,we supply the stands freely. Also good gift for friends.